We are 3.5 months into exclusively bottle and formula feeding our sweet Gideon and I have kept a running list of items in my head that I've wanted to share on my blog. I was able to breastfeed Ford and Lucy each for a year and they'd take bottles when I was away from them but for the most part, bottle feeding was brand new to me, especially formula feeding. I was worried about how it would be in the middle of the night trying to mix bottles and being out and about what if I forgot bottles or formula but it has been pretty darn easy and I don't know how we'd do it any other way! I constantly ask myself how the heck I exclusively nursed F and L in the beginning... all the night feeds were mine and I somehow survived. From the beginning, Jon and I split up the nights and now G sleeps through the night (10-12 hours) but having that help with night feeds was a life savor... especially when we have two other little alarm clocks waking us up before sunrise. We didn't really have a choice with how we fed Gideon but I have loved getting to experience bottle feeding a baby and don't feel one bit that we've bonded less, etc. It's really neat to get to see Jon take such a big part in feedin our baby, something that didn't happen with the first two. I also don't know how I'd be able to maintain our on the go schedule while nursing a baby... I know people do it but I am very thankful with what we've chosen! I wanted to share some of our favorite products when it comes to formula/bottle feeding, I have tried to stay as minimal as possible because having 3 kids in 3 years, we seem to have accumulated a lot of unnecessary stuff that I am currently purging of. I hope this list can help answer some questions or give you ideas/tips! 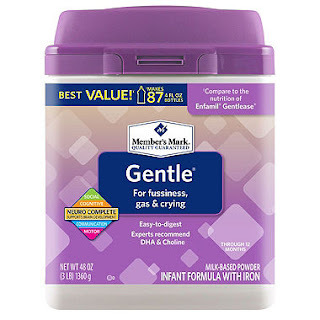 Sam's brand Member's Mark Gentle Formula- after doing lots of research and learning that both Sam's and Costco manufacture their formulas in the same place as Enfamil and Similac and they are basically the same thing, I was hoping one of them would work for G. The hospital feeds babies Similac Advance from the beginning but they switched him to Sensitive pretty quick because he was gassy and fussy. We used that for a few weeks before switching to his current gentle formula... the other was constipating him and we noticed an immediate change when we switched. 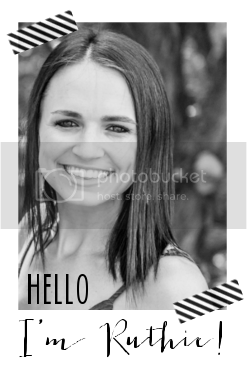 I use a big tub every 3-4 weeks and it is significantly cheaper than other brands! A NICU nurse friend told me that babies' tummies were made for breastmilk so even the most gentle, newborn formulas will take some getting used to. My advice is to have smaller cans/samples of different formulas in case your little one isn't doing well on a certain kind. It is recommended to stay on a formula for 7-14 days before switching. 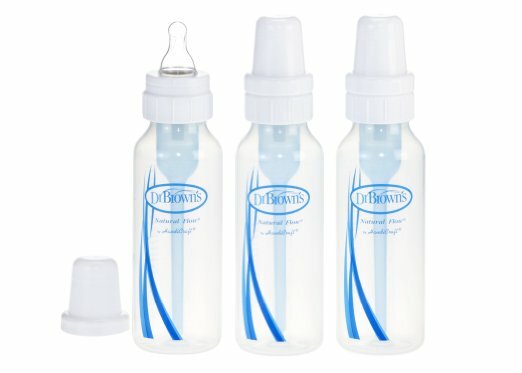 Dr. Brown's Bottles- I read that these are great for exclusively bottle fed babies because they reduce the airflow into baby's mouth/tummy thus reducing gas and colic. People complain about the parts but you're washing bottles all day anyway... what is a few more pieces. My advice is to skip the small bottles and invest in the larger, 8oz bottles. We used 4 bottles at the beginning and now just have 3 in in our rotation. I usually always have a full bottle with me and stick it in his carseat if we are out and about and if we are going somewhere where I know I won't have access to water, I bring a bottle of room temp tap water in his diaper bag. If we are going to a friend's house or my parents, I just bring one bottle and rinse it between feedings. We use room temp tap water... a great piece of advice I received so your baby doesn't require hot bottles (added time in the middle of the night and hard to do when you're out). 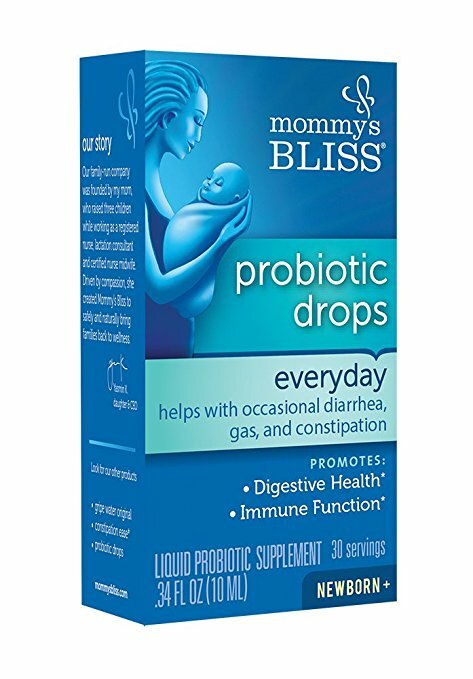 Mommy's Bliss Probiotic Drops- going back to the formula paragraph and talking about how hard it can be on babies tummies, I was recommended to get G on a probiotic to help the adjustment. I definitely saw improvement and gut health is so important so we do 5 drops in a bottle once a day. I go through a bottle a month and even give them to Ford and Lucy. Lil Helpers Bottle Holder- this is the most genius invention ever! I saw a friend's baby using it at church and it has been such a helper for us feeding Gideon out and about. I can prop it up while he's in his stroller while we walk through Target and now at 3.5 months he grasps it! I know he'll be holding his bottle in no time. Bottle Drying Grass- bottle feeding requires a lot of washing but honestly I don't mind it. I have a medium size glass bowl in one of the portions of my sink at all times and throw empty bottles in there throughout the day. Since we only have 3 bottles, I will wait to wash when I have two in there. 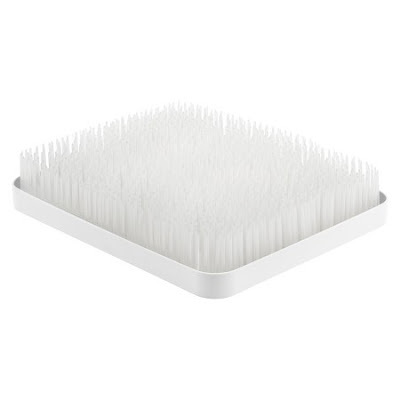 I use this bottle brush and the tiny little one that came with my Dr. Brown's bottles and leave them to dry on the drying grass. I love how it doesn't scream BABY with bright colors and it goes well with my white kitchen. I've had it for a few years and even when I don't have a bottle fed baby, I use it to dry knives, medicine syringes, and other small things. I definitely won't be getting rid of it when G is bottled weaned! Cloth Diaper Burp Rags- I had no idea how messy bottle feeding was going to be! G is also a happy spitter so we go through at least 2 cloth diaper burp rags a day (and I am talking soaked). I keep them all over the house, an extra in his diaper bag, and always one in his carseat. 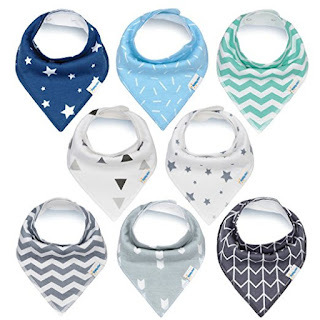 I think we have a stack of 10 but they are always in rotation of being used or in the wash.
Absorbent Bibs- like above, we go through about 3 bibs a day. 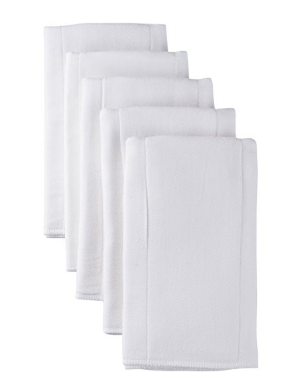 I love these cute banana ones and they are absorbent. I also have some not as cute bibs I have on G at home. I do laundry every other day and half of it is bibs and burp rags! 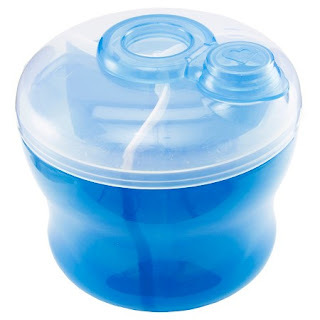 Formula Dispenser- we have two of these... one that is always filled in his room and one in the diaper bag. The one in his room was great when he was still waking up in the night, I guess I can bring that one downstairs but it is nice just in case he wants to party at 4am or we are playing upstairs and I need a quick bottle refill. G is quite the eater and has taken 3-4oz from birth and now takes 6oz so every evening I make sure our diaper bag has new diapers, fresh burp rags, and plenty of formula. We are usually only out and about for 3-4 hours at a time (I protect those crib naps!) but I like to be prepared in case anything happens. If we are going to be gone all day (for example we went to my parents house last weekend for basically the whole day), I brought the whole formula container just in case. 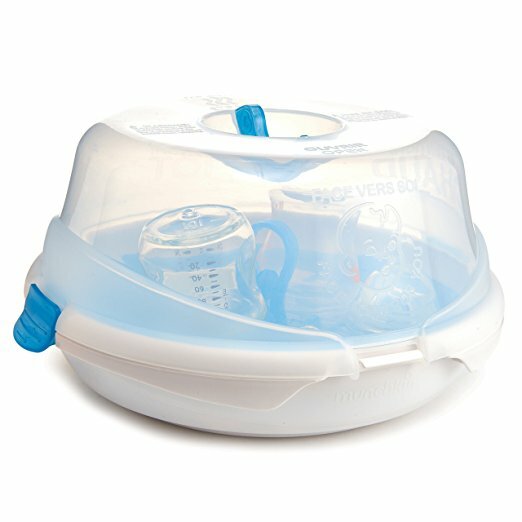 Bottle Sterilizer- I didn't know this with my first two babes but you are supposed to sterilize bottles at least once a week. This helps keep them germ free but also clean. Have you ever seen cloudy bottles? Well that is because they aren't sterilized. I use this super easy microwave steamer and try to remember to steam them once a week... I notice a gross film on the bottles building up if I wait too long. And with breast milk bottles, the fat in the milk builds up around the bottles. Yuck. I also use the sterilizer to clean toys, medicine syringes, sippy cups that I find mold on, etc. Ford looks older and older every single day but I'm thankful he hasn't lost his chubby baby cheeks. He was so excited to celebrate his half birthday last week and I cry a little inside every time he talks about when he's going to turn 4 in August. You can find him in his new "cool guy" shoes and on his scooter at almost any time of the day. Ford (and Lucy too!) 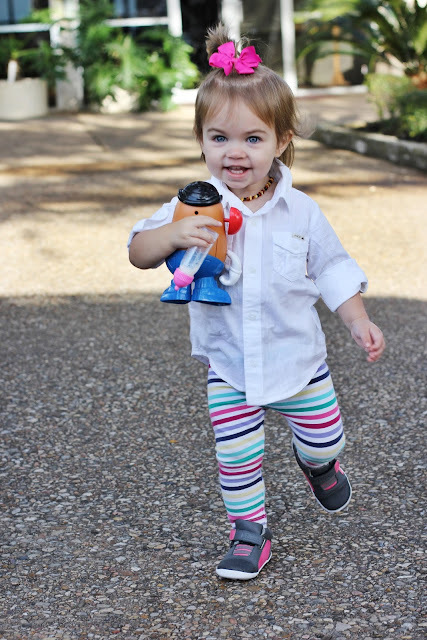 is loving his new high tops by Bobux, they are the IWALK Radial in Hawaiian Ocean. I can't believe I am just now learning about Bobux because their shoes are amazing y'all! 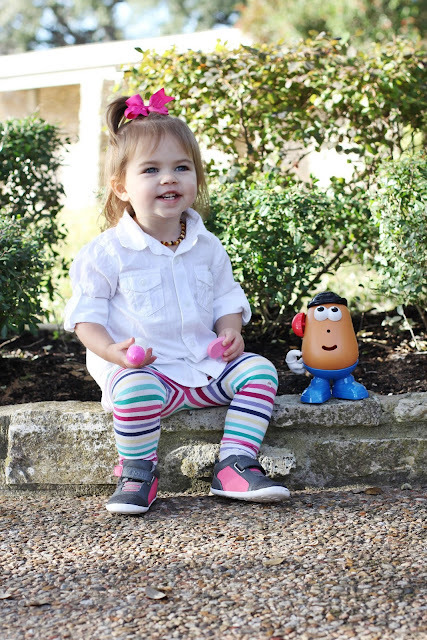 The offer soft sole shoes for babies through size 1.5 for kiddos, they are supposed to feel like your littles are walking barefoot! I love how none of the shoes have laces (and all the mamas said AMEN!) but don't look cheesy. I let Jon pick out a style for Ford and I think he was a tad jealous that they didn't come in adult sizes. Lucy (pictured below the Ford pics) has these fuchsia and gray high tops and rocks them with anything from dresses to just a diaper ha. And I just ordered these gold little Zap Sandals for her for the summer. I know Gideon will need his own pair before we know it! 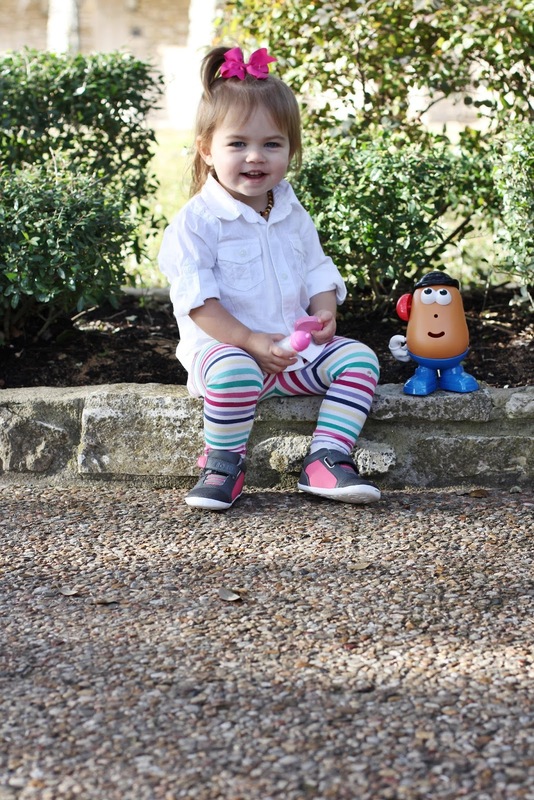 Mamas do yourself a favor and check out Bobux for your little ones feet... cute, comfy, and affordable! Gideon is 3 months old today! He doesn't stop smiling, sleeps great, and is growing like crazy. It is so fun to see his personality come out, he is totally not a blob anymore but a sweet little guy with such a calm and happy demeanor. We love this little boy! Wearing 3 month and 3-6 month clothes. He is a tall boy so I can tell his 3 month jammies are getting really tight on the feet. We started cloth diapers a few weeks ago and he looks so stinking cute in his diapers. I still use a disposable at night (just like with F and L) so I can use booty cream and I don't change his diaper from about 6/7pm-7am. He is in a size 2 disposable. Gideon is SO smiley right now! Take one look at him and he smiles ear to ear, his smile is contagious. He is also ticklish and it is fun to get him going and giggling. He is talking a LOT! I love baby babble... he is so serious when he is talking like he has something important to say. He found his hands and is constantly chewing on them. He also scratches himself all the time so he has tons of tiny little scrapes on his face, boo. Poor guy has eczema on his cheeks... I chalked it up to cradle cap for so long but then realized it was eczema. We are doing a routine of 7 days with Cortizone 1%/Aquaphor and then 7 days just Aquaphor. His face is SO soft and clear with Cortizone and it goes right back to being rough and patchy when we stop. I am sure we will figure something out. Gideon is an eater! A piggy! I swear he is always eating (and this is why I am thankful I am not breastfeeding him haha). He drinks 4-6 oz every 3 ish hours but I swear we always have a bottle with us. He is also a really messy eater/spitter so he rocks a bib every day now. 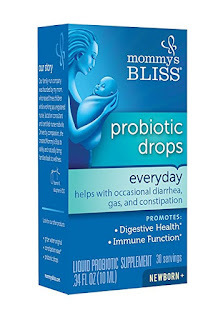 He drinks Gentleease Formula and I give him this probiotic everyday. We are finally getting the sleep thing down, Hallelujah! He still isn't super consistent but we are seeing the light at the end of the tunnel. Bedtime is 8pm and he either sleeps til 7am or wakes up at 4a to eat and go back down. Never 5am or 6am... always 4a or 7a. It has felt absolutely amazing to be able to sleep through the night again, especially because Jon has been traveling a lot lately and it is pretty freaking hard to function when you are up all night with a baby then up at 6am with toddlers. Thank you Jesus for sleep! If we are home all day (very rare), he will take 2, 3/4 hour naps which are amazing, but since we are gone from 9a-1p most days, I am trying to make him adaptable to sleep on the go. 3rd kid, you have got to go with the flow buddy. He usually passes out right when we get in the car to drop off Ford at preschool or go somewhere and he naps for 1-2 hours while we are out. Most days I can get him to nap when Lucy naps and Ford does quiet time so that is really nice to actually get alone time. He takes a paci at the most random times... if he is fussy in the carseat I always try to offer it to burn off steam but he doesn't take it that well. If he cries out in the night, we try to pop the paci and that usually helps him get back to sleep then he spits it out. He has started grabbing things and it is hilarious to watch! He will grab on to a toy or blanket and flail his arms around not knowing what is going on. 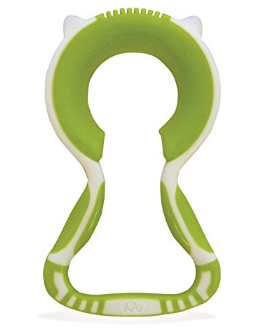 We have this bottle holder (God send!) and he has started holding it during feedings. This month he has discovered the TV and loves it. Often times I can see him craning his head trying to look at the TV... he loves the colors. He still loves his playmat and little floor bouncer. He is getting over the Rock and Play because he's so tall and straightens his legs and gets mad but it is nice to have him in there while I cook dinner or shower. We have a Sit Me Up Chair and he doesn't really like it for more than a few minutes. I am looking forward to trying the Bumbo soon and maybe exersaucer. He notices Ford and Lucy playing and they get him to smile so easily, I know he will be in on the action before I know it. Ford loves "playing" with Gideon... last week I overheard Ford trying to teach G a fist bump. Ford is so helpful, it literally melts me into a puddle. Lucy is VERY sweet with her baby brother. 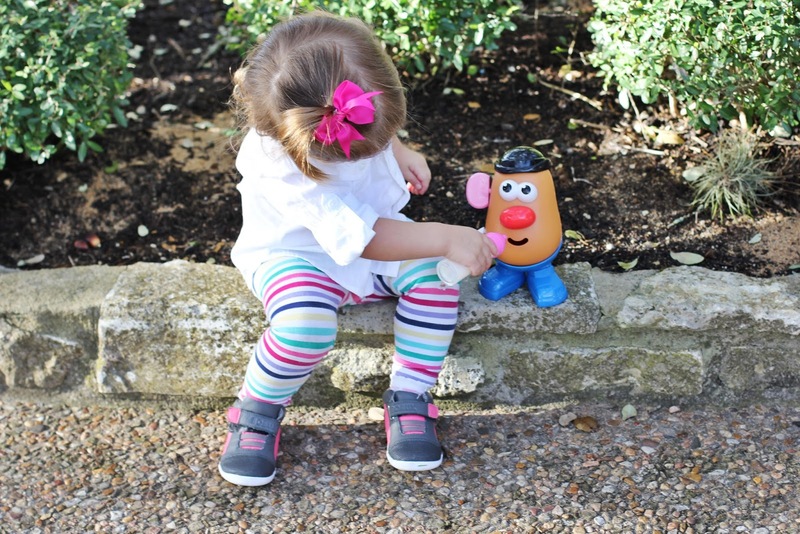 She calls him "Giddy!" and loves to pat his back and help with bottles. I absolutely love watching my kids love on each other so sweetly. Went on his first road trip to Dallas a few weekends ago, he did great!